We have four of these beach facing chalets all have a double bedroom, bathroom lounge, and patio. Weekend (Thu-Sat) Day RATE – 65bd – Not including breakfast. Weekday (Sun-Wed) Day RATE – 40bd – Not including breakfast. Public Holiday Rate: BD 105.000 Not including breakfast. The chalets sleep two with the option of lounge sofa bed. Rates are for a maximum of 4 persons including children. *The rate includes, return SeaTaxi, Island entry and allows you to bring your own food and drink. All of our chalets are self-catering, we do not offer room service. We have food outlets on both the north and south of the island. Our chalet kitchens all have a microwave, 2 ring cooker, kettle, sandwich toaster, plates, cups, glasses, cutlery and small pans – Each chalet has a BBQ stand, note charcoal, and cooking nets are not supplied but can be purchased on the island. The total number of occupants quoted in each Chalet is the maximum capacity including the children. Food and beverages are allowed from outside with no extra charge. Please be reasonable with the quantity you bring along to allow entry. In the event of late arrival, Al Dar office should be informed otherwise booking is considered as NO SHOW. Original VALID ID/PASSPORT/CPR/DRIVING LICENSE is required for each person upon arrival for coast guard registration. PHOTOCOPIES ARE NOT ACCEPTABLE. The tariff is subject to change without prior notice. 50% advance deposits are payable via CASH OR CREDIT CARD. American Express not acceptable. Reservations are only confirmed upon receipt of deposit and it is non-refundable, rebooking is advisable in the same current year. You may email changes/cancellations to info@aldarislands.com or you may contact our reservation office directly to make additional reservations, changes, and cancellations. If a cancellation/changes are not made at least 72 hours prior to arrival, reservations are subject to a “NO SHOW” and deposit by the resort will be forfeited. Please reference your confirmation number when making any changes or cancellations. In events of unforeseen circumstances and unavoidable operational reason, AL DAR ISLANDS RESORT MANAGEMENT at discretion may occasionally be forced to cancel bookings without any notice. Rebooking will be advisable subject to availability within the current year. 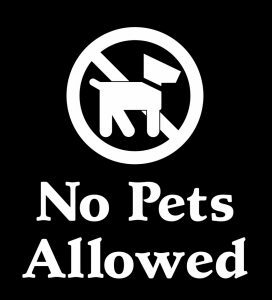 Pets are NOT permitted at AL DAR ISLANDS RESORT premises. In case of emergency the boat captain is available on the island, can be reached by dialing the numbers provided in the room directory. • You are allowed to bring your own food & beverages. • A VALID ORIGINAL ID required for each person on arrival (CPR/PASSPORT with Visa or DRIVERS LICENSE). This includes children as well. Come enjoy this Christmas at Al Dar Islands. The weather is great, it is the best time of the year to enjoy with your loved ones. DON’T MISS OUR CHRISTMAS PROMO! • A VALID ORIGINAL ID required for each person on arrival (CPR /PASSPORT WITH VISA or DRIVERS LICENSE). This includes children as well.